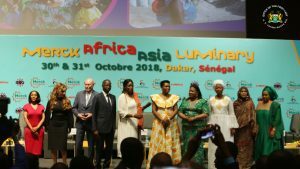 First Lady of Sierra Leone, Her Excellency Fatima Maada Bio, gave a keynote speech at the Merck Africa Asia Luminary held in Dakar, Senegal 30th & 31st Oct. She made it clear that the Office of the First Lady within the Presidency, and the government of Sierra Leone are clearly in support of Merck’s programmes : “Merck More Than a Mother” and “Merck Cancer Access Programme”. In Sierra Leone women are marginalised. Infertility is considered a female problem. Women face huge emotional and psychosocial stress, depression , and near suicidal thoughts associated with the stigma of being infertile. To deal with infertility, she suggested that women or couples must have access to well managed, quality and affordable infertility treatment in Sierra Leone. To deal with economic discrimination against women, the government is ready to work with Merck to identify entrepreneurial training and small start-up loans. There is fear and resignation to death once one is diagnosed with cancer in Sierra Leone. 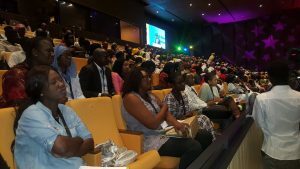 First Lady called on Merck, development organisations and philanthropists to help train doctors and nurses. H. E. Fatima Maada Bio went on to say, the Merck Oncology Fellowship programme has not selected any healthcare professional from Sierra Leone for training. Cancer patients in Sierra Leone have to travel out of the country for treatment. This is expensive and unaffordable for most. Her Excellency called for the establishment of a dedicated Cancer Care Centre. 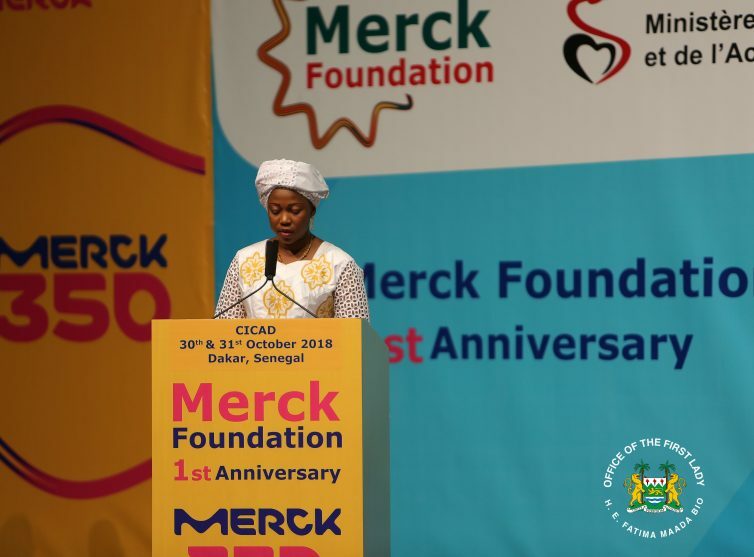 H. E. Fatima Maada Bio is confident that Merck and other global health institutions represented at the programme, will respond to Sierra Leone’s appeal and the conference will bring about a turnaround in the fertility and cancer situation in the country.  First Lady was thankful to the First Lady and government of Senegal for their hospitality. She also thanked Dr. Rasha Kedge, CEO of Merck Foundation for considering Sierra Leone.